Can the inept crew of the Troutbridge get it ship-shape for an inspection? Stars Leslie Phillips. From July 1967. Can the inept crew of HMS Troutbridge manage to get it ship-shape for an inspection? 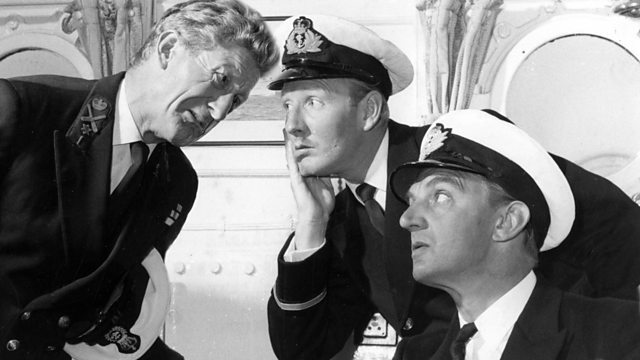 Stars Leslie Phillips as the Sub-Lieutenant, Jon Pertwee as the Chief Petty Officer, Stephen Murray as the Number One, Richard Caldicot as Captain Povey, Heather Chasen as Second Officer McCluty, Tenniel Evans as Taffy Goldstein and Michael Bates as Alfie.